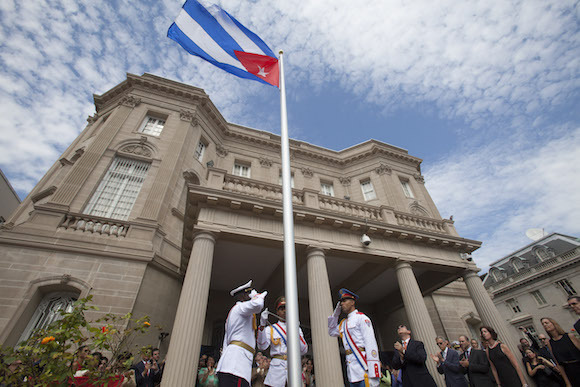 Washington, D.C — In a ceremony attended by some 500 invited guests on July 20, the Cuban flag was raised over the Cuban Embassy in Washington, D.C., for the first time since 1961, when U.S. imperialism broke relations between the two countries. 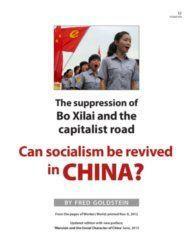 Other supporters successfully fought back right-wing forces who tried to disrupt the event. “The flag that we revere … is the same that was hauled down here 54 years ago, which was zealously kept in Florida by a family of liberators and later on by the museum of our eastern city of Las Tunas, as a sort of premonition that this day would certainly come. “Flying once again in this place is the lone-star flag which embodies the generous blood that was shed, the sacrifices made and the struggle waged for more than 100 years by our people for their national independence and full self-determination, facing the most serious challenges and risks. The 30-person delegation from Cuba presented a rich cross section of Cuba’s social accomplishments and included former diplomats, artists, deputies, scientists, educators, athletes, farmers and religious persons. Of special note were scientist Jorge Berlanga, creator of Heberprot P, a treatment for diabetic foot ulcers that can prevent 77 percent of amputations; and Ernesto Freire Cazañas, who heads the International Department of the Cuban Workers Central Union (CTC) and is a Special Olympics star. Many are members of Cuba’s Council of State. A strong delegation of Cuban-Americans celebrated the opening of the renewed embassy, including more than 80 from Florida. Members of Congress and staff included representatives of the Congressional Black Caucus. Attorneys mingled with activists who contributed decades to defending Cuba’s right to self-determination and sovereignty. 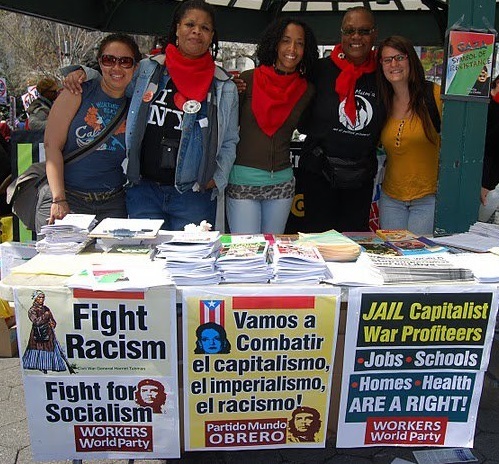 Most recently this activity focused on the successful return to Cuba of its defensive state security agents known as the Cuban 5, who had been imprisoned in the U.S. since 1998. 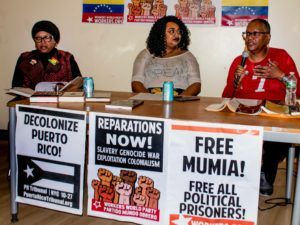 The flag-raising celebration energized momentum to press forward on ending the economic, commercial and financial blockade, returning Guantánamo to Cuba and ending the funding for U.S. “regime change” programs aimed at Cuba. Cheryl LaBash is a co-chair of the National Network on Cuba. She attended the flag-raising ceremony.